What would we do differently if we knew where we were going? 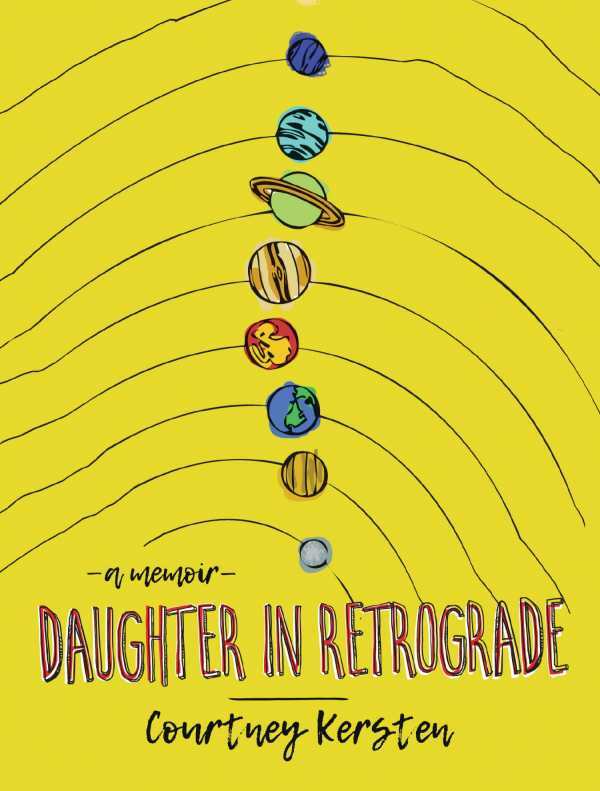 Crackling with detail, Courtney Kersten’s memoir Daughter in Retrograde explores her relationship with her mother through the lens of horoscopes, astrology, and other divination tools. Set in the Midwest, it finds miracles in the mundane and illuminates the deeper truths of love. Kersten and her mother Victoria are the perfect pair of oddniks, complementing one another and rarely at odds. Their challenge isn’t a mother-daughter conflict; rather, Victoria has cancer. The memoir chronicles her last years, decline, and passing. Throughout, Kersten asks herself: Could I have seen this coming? Despite her fascination with the occult and her desire to predict the future using every new-age tool known to man, the answer is still no. Victoria’s illness is a shock, and Kersten makes it clear exactly what, and who, is lost. Victoria is larger than life, leaping from the page like a character from myth. Sunbathing in an early spring heat wave, flashing the camera in a family holiday photo, believing her parents are reincarnated as a pair of red cardinals: she is vivacious, messy. Kersten is her foil, an emotional, introspective girl who yearns to travel and see the world beyond Wisconsin. The tension between the two heightens as Victoria’s cancer progresses, forcing Kersten to leave the world of make-believe and return to earth. Daughter in Retrograde is Kersten’s first book. Chapters sometimes read like short stories, packed with dialogue, flashbacks, and astrological detail. At times, scenes can feel cluttered. Others, like a masterful passage about the astrologer Linda Goodman, positively sing. Through it all, Kersten alternates between a gimlet-eyed perspective on who she and her mother really were and the childhood dreams of who she hoped they’d be. Daughter in Retrograde is a finely written memoir that captures the sass and splendor of two unforgettable women.